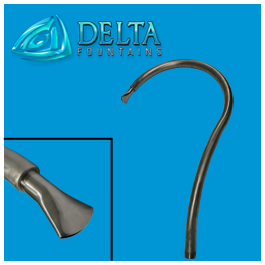 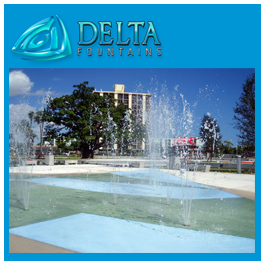 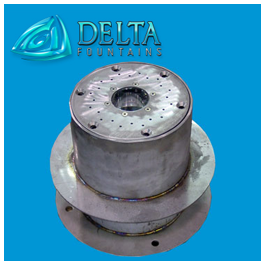 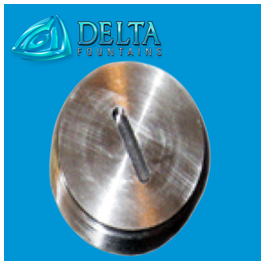 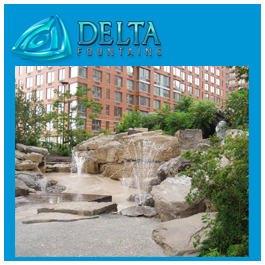 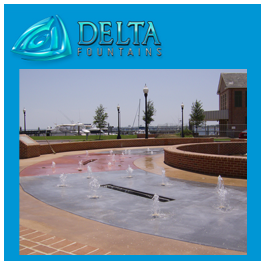 Delta Fountains’ Stainless Steel Ground Effect Nozzle is available in Schedule 10 stainless steel. 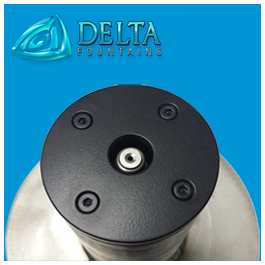 This ground effect nozzle produces a gentle, low pressure effect that sends multiple streams of water straight into the air or at different angles. 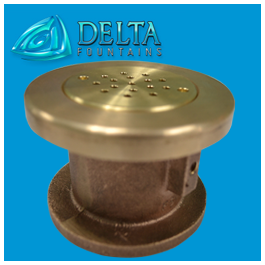 The nozzle, also known as a shower-head nozzle, is water level independent and has little wind resistance. 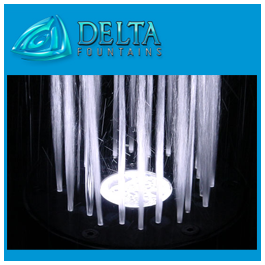 It can be used continuously or programmed to ramp up and down, with the spray reaching upwards of several feet in the air. 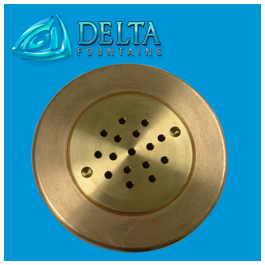 Delta Fountains also offers these nozzles in bronze. 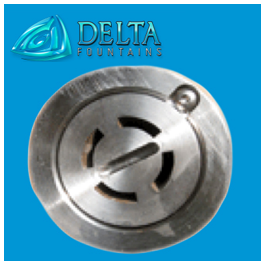 Several attachments and design variations are available to manipulate the classic shower-head spray display. 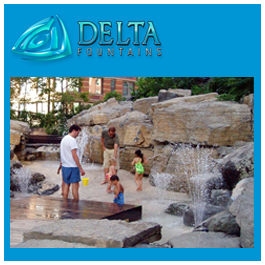 These manipulations allow for a closer water stream grouping, a wider arching spray, or a clear-stream display. 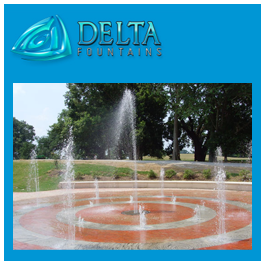 You can see a few of the different spray displays that this nozzle can product below. 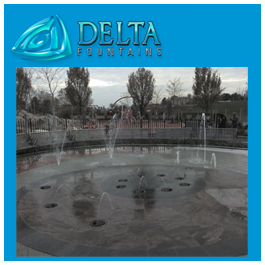 What Fountain Applications Use Ground Effect Nozzles? 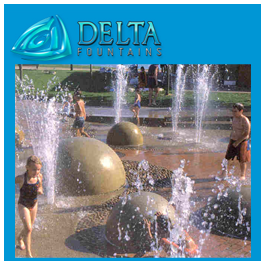 Ground effect nozzles are often used in splash parks and playgrounds to create different water sprays design to be interacted with. 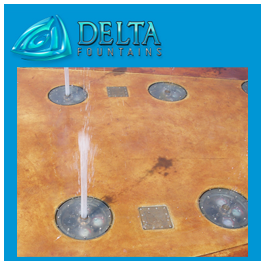 Since the nozzle is installed flush with the concrete, it allows for less tripping hazards then other nozzles which may have some or all of the nozzle above-ground. 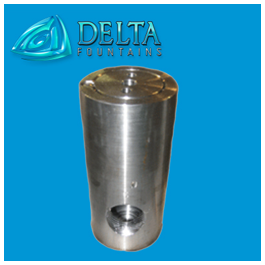 For more information about this nozzle, contact us today.